New everything! Surface, nets, posts, on six courts and blended lines on 3 courts for 10&under play. 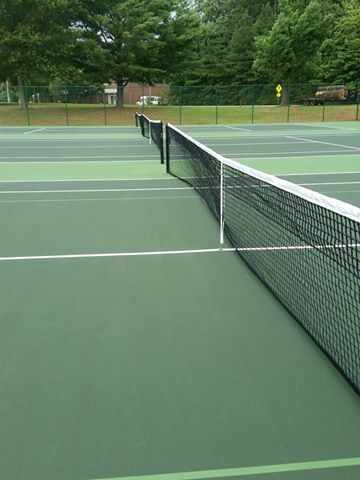 What a gift to our Rockingham County tennis community. Thank you RCC. Other improvements at RCC include renovating and paving a walking track, constructing a new playscape, and improving a nature trail and soccer fields. Funding for these improvements is provided by a $150,000 grant from the Kate B. Reynolds Charitable Trust to improve access to opportunities for physical activity in Wentworth.